Location. 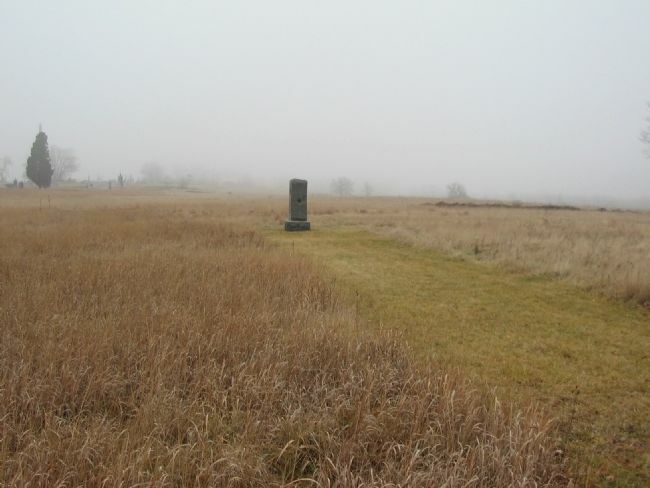 39° 48.52′ N, 77° 14.117′ W. Marker is near Gettysburg, Pennsylvania, in Adams County. Marker is at the intersection of Pleasonton Avenue and Hancock Avenue, on the left when traveling east on Pleasonton Avenue. Touch for map. Located north of the Pennsylvania State Memorial in Gettysburg National Military Park. Marker is in this post office area: Gettysburg PA 17325, United States of America. Touch for directions. After fighting at the Devil's Den and suffering heavy casualties on July 2, the Regiment was in reserve on July 3. In response to the Confederate infantry advance, the 124th was ordered into a position to reinforce the main Federal lines on Cemetery Ridge should the Confederates effect a penetration. marker); 8th Pennsylvania Cavalry (within shouting distance of this marker); Second Brigade (within shouting distance of this marker); New Hampshire - Berdan's Sharpshooters (about 300 feet away, measured in a direct line). Touch for a list and map of all markers in Gettysburg. Related markers. Click here for a list of markers that are related to this marker. 124th New York at Gettysburg. 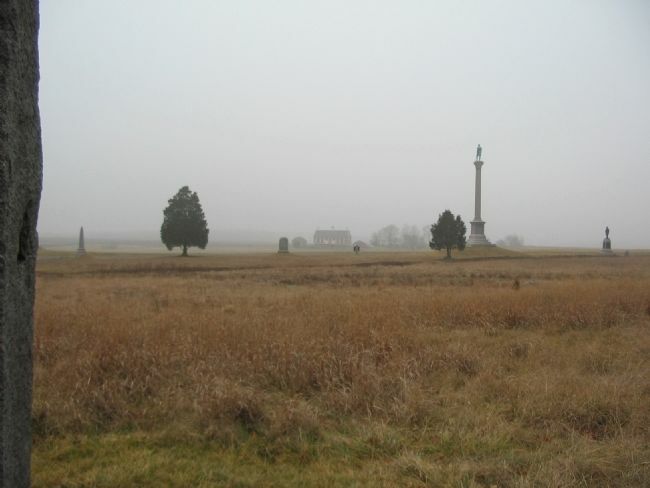 Looking past the monument, at the Vermont State Memorial and the Codori Farm beyond. More. 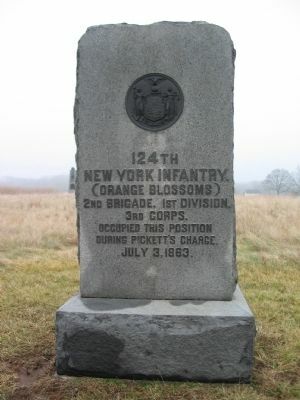 Search the internet for 124th New York Infantry. Credits. This page was last revised on June 16, 2016. This page originally submitted on February 25, 2009, by Craig Swain of Leesburg, Virginia. This page has been viewed 1,343 times since then and 7 times this year. Photos: 1, 2, 3. submitted on February 25, 2009, by Craig Swain of Leesburg, Virginia.